I am so excited to introduce this new product...Sophie was my inspiration! She is a sassy little one and this sash just shows a little of that sass! These are available in 1 size (fits most) and come in lots of fun fabrics! They are all double sided so that they are more versatile. We'll get more details up soon! Enjoy! 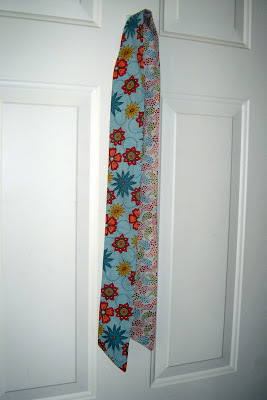 You can wear this sash as a headband or as a sash around your waist. Clip a flower on it, tie it in a knot or in a bow. Your options are limitless! The Sophie Sash is shown here on the reverse side. Choose the pattern you want to show off and give your outfit a little punch of color! 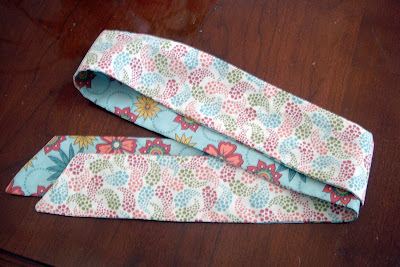 The Sophie Sash comes in 1 size (fits most) for both big and small girls ( 54") . More colors and prints coming soon!